Firethorn Vineyard is quite literally one of the most beautiful properties in north-central Oregon. The lush Umatilla River bottom gives way to basalt cliffs that support a layer of granite and basalt silt deposited as the Missoula floods receded. The top layer of soil is wind driven loess. Our wine grapes enjoy free draining soils and aspects suited to each clone. We are also treated to unobstructed sunrises over Pendleton and sunsets over Mount Hood and from nearly any block one can see our tasting room located in a repurposed wood grain elevator, see photo below. 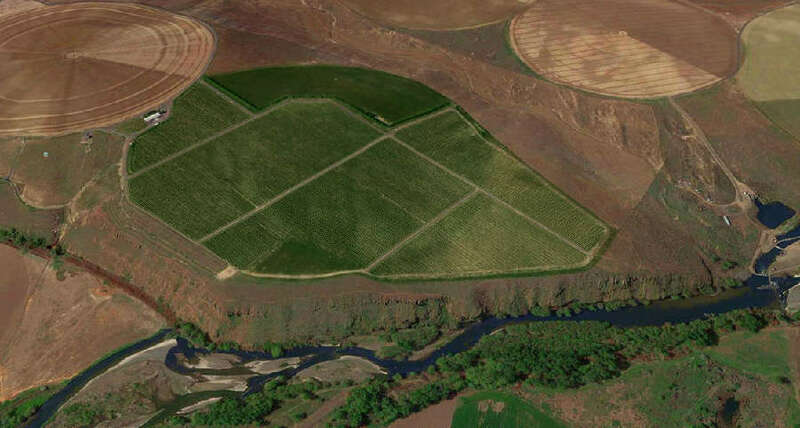 Some say that our vineyard looks like Hans Solo’s Millennium Falcon from the air. It does hover high above the Umatilla River on the east and Alkili Canyon on the west and we are continually tweaking our infrastructure to improve overall vineyard performance…but the similarities stop there. 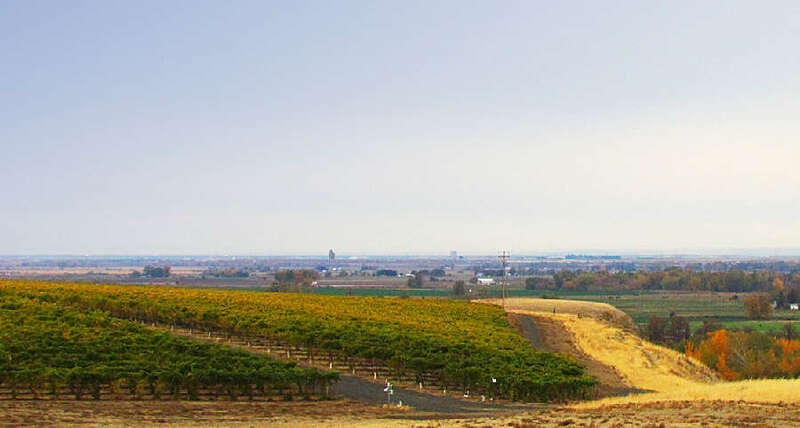 Firethorn Vineyard was originally developed between 2006 and 2008 under the name Flying B Vineyard. Our family purchased the property in 2010, determined to leave behind the world of commercial construction in the Seattle area and dedicate our time and energies to the building of a family wine estate. We rolled up our sleeves and went to work, wishing to experience first-hand all farming aspects of our wine-growing venture. Sustainability has become increasingly important over the past 10 years and more winery clients and wine consumers want to see proof of that sustainability. 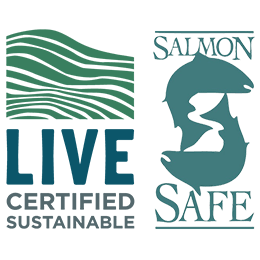 Firethorn vineyard is certified Salmon Safe by LIVE (Low Imput Viticulture and Enology), a program founded in Oregon in 1997 and the first in the U.S. to be endorsed by IOBC, the International Organization for Biological and Integrated Control of Noxious Animals and Plants.